Celebrate Hanuman Jayanti by following remedies according to your zodiac sign and attain blessings of Lord Hanuman. Hanuman Jayanti is considered an auspicious occasion to offer one’s prayers to Lord Hanuman. The Shastras state that Lord Hanuman was born on this particular day only. He is worshipped as the 11th ferocious incarnation of Lord Shiva according to Hindu Sanatan Dharma. Vedic Astrology valourizes lord Hanuman’s celibate nature who had dedicated his entire life to Lord Rama. This is the reason why the true devotees of Lord Hanuman also receive the blessings of Lord Rama too. Both of them provide aid to the devotees who are in distress and put an end to their persisting problems. The entire nation celebrates Hanuman Jayanti in a special manner. However, the festival timing varies in each and every part of India. For instance, North India observes the festival during Chaitra month on Shukla Paksha’s Purnima every year. On the contrary, it is considered auspicious to celebrate Hanuman Jayanti during Kartik month on Chaturdashi in Krishna Paksha. Both of these tithis are mentioned in mythological texts. It is important to note that one tithi is celebrated as the birthday ceremony of Lord Hanuman while the other is observed as the Vijay Nandan Mahotsav or the day of celebrating the victory. According to Hinduism, prosperity reigns in one’s life if one offers prayers to Lord Hanuman. The individual also gets rid of all the difficulties prevailing in his/her life. But there are certain rules mentioned in the Shastras, which should be strictly observed while worshipping Lord Hanuman. Let us go through the rules and regulations. It is considered auspicious to offer Chola to Lord Hanuman and chant Hanuman Chalisa on the day of the festival. The devotees who are observing are fast on this day should not consume salt. Devotees will receive profits if they observe a completely celibate fast on this day. While worshipping Lord Hanuman, devotees should not wear balck colored clothes. If possible, try to wear a red or yellow coloured outfit. With this article, we intend to enlighten the natives about certain remedies to please Lord Hanuman. The successful observation of these rituals and remedies will bring in economic prosperity and free the natives from all sorts of vices. Mars is the ruling lord of this planet which is why natives will receive desirable results if they offer saffron-coloured vermilion. It should be done because saffron colour is associated with the planet Mars. The ruling lord of this zodiac sign is Venus. Chanting Hanuman Chalisa on this day will bring forward favourable outcomes. The planet Mercury rules the natives of this zodiac sign. Worship Lord Hanuman on this day and offer gram (chana) and jaggery (gud) to cows as it will procure positive results. The Moon is the ruling lord of this zodiac sign and directly associated with Lord Shiva. On the day of the festival, offer Shiv Puran or red Chola to Lord Hanuman. The Sun is the ultimate ruling lord of this zodiac sign and also rules over Lord Hanuman. Thus, it will be beneficial if the natives chant “Sri Aditya Hridaya Stotra” and feed meals to the poor on this day. Mercury is the ruling lord of this planet. Chanting Hanuman Chalisa 108 times will procure favorable results for the natives of this zodiac sign. The natives of Libra are ruled by the planet Venus. To attain desirable results, serve your parents and read the “Bal Kand” chapter of Ramcharitmanas. Mars is the ruling lord of this planet. Chanting “ऊँ हनुमन्ते नमः / Om Hanumate Namah” 108 times will procure positive results in the lives of natives. Jupiter rules over the natives of this zodiac sign. Chant “Shri Sita Ram” five times on a mala and donate Shri Ramcharitamanas at a temple. Saturn is the ruling lord of this planet. In order to curb the malefic effects of Saturn, light a mustard oil lamp under a Peepal tree and chant Shri Hanuman Chalisa on the day of the festival. Saturn is the ruling lord of Aquarius natives. Offering a Ram named rosary to Lord Hanuman or reading out the Aranya Kand chapter from Raamcharitramanas will be of great help to the natives. Jupiter is the ruling lord of this zodiac sign. On the day of the festival, offer a Chola to Lord Hanuman and chant “ऊँ हनुमन्ते नमः / Om Hanumate Namah” on a mala. Visit AstroSage Online Shopping Centre to buy Gemstones, Yantras and for other astrological solutions. AstroSage wishes all its readers a very blissful Hanuman Jayanti! Venus Transit in Pisces will make these 7 signs wealthy! Know its astrological effects! Venus, also known as Shukra in Hindi, is denoted as the Goddess of Beauty and Marriage and hailed as a feminine planet in Astrology. It rules over the Taurus and Libra zodiac signs and also titled as the “Daitya Guru”. The placement of Venus in one’s kundli narrates the possibility and yogas for kids and marriage. Therefore, it is also assumed to be the factor of profit. The positive influence of Venus brings comforts and prosperity in one’s life and makes a native inclined towards art and creativity. Int exaltation and debilitation of Venus in one’s kundli garner multiple results respectively. Where on the one hand it remains exalted in Pisces, on the other it gets debilitated in Virgo. Venus is the only planet which emits light during sunrise as well as sunset. Talking about planets, Saturn, Mercury and Ketu are friendly with Venus whereas Moon, Sun and Rahu are enemies. Also, it maintains a neutral relationship with Mars and Jupiter. Vedic Astrology recalls Venus as the “Morning Star”, which is why its placement or transition is seen as an important astrological event. Keeping all these facts in mind, we are describing its transitional effects on your zodiac sign in this blog. According to astrologers in India, Venus represents luxury and comfort, which is why along with the natives, the whole nation will get affected. As per them, whenever Venus transits in Pisces, negative climatic effects can be observed, which is why chances of contracting seasonal diseases like allergies and infections become high. In such a case, establishing Shukra Yantra is advised. Astrologers at AstroSage evaluate the event expertly and tell that Venus affects the marital life and finances of a native. This month, it is transiting in its exalted sign Pisces on 16th April 2019 at 00:55 and will remain there till 10 May 2019 around 18:57. Hence, its influence can be seen on all signs. Let’s go ahead and read what major transformations will it bring and remedies to put to use. 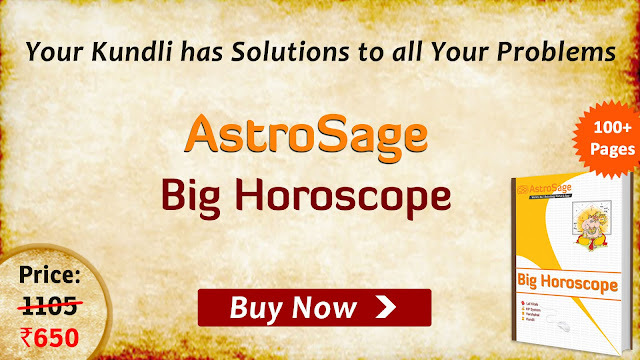 Visit AstroSage Online Shopping Centre to buy Stones, Yantras and for other astrological solutions. We Hope That You Liked This Article And Wish You A Happy And Auspicious Future! Increase in income or government job? Learn what will be the effect of this Sun transit on your zodiac sign. The Lord of the nine planets and the creator of life, Sun is transiting in Aries on Sunday, 14 April 2019. As per the Hindu religion, Lord Sun is the father of the world as we know it, because aside from being the reason behind life on Earth existing at all, it is also the reason why the planets in our solar system are transient. According to Vedic Astrology, it is the significator of soul, father, our ancestors, government service, and royal prestige, etc. Therefore, where on the one hand, through the Sun’s positive influence, a person can live a regal life by achieving a high rank in all services, on the other side, its negative effects can bring a downfall in their respect as well as cause pain and eye problems to their father. The Sun is the ruling lord of the zodiac sign, Leo, as well as the constellations (nakshatras) Krittika, Uttara Phalguni, and Uttra Ashadha. It is believed that when Sun transits from one sign to another, that is a very auspicious time for performing religious rites, which is why people organize religious rituals and ceremonies and worship Lord Sun during this time. Its movement through the various signs is also an important factor for the calculations in Hindu Panchang, and for that very reason, many people wear the gemstone Ruby (Manikya) to pacify this celestial body. The Sun will be transiting into its exalted sign Aries from 14:05 on 14 April 2019, Sunday, where it will remain in its exalted state upto 15 May 2019. Since it is the significator of government job and respect, this transit will impact all 12 zodiac signs. In addition to this, Baisakhi and Ambedkar Jayanti will be celebrated in various parts of the country, including Punjab and Haryana. One of the main festivals of Punjab, Baisakhi is the new year celebration for the Sikh community, which according to Hindu Panchang, occurs during the month of Chaitra every year. This year, will be celebrated on 14 April. This festival is also known as the festival of crops, because the Rabi crop gets ready for harvest by this time, and because of that, the farmers rejoice and make merry on this day. In addition to this, in 1699 on this very day, the tenth guru of the Sikhs, Guru Gobind Singh, established the pious Khalsa sect, and hence, this occasion is also associated with the faith of the Sikh community. Falling on 14th April, every year, Ambedkar Jayanti is a very special day for Indians, because on this very day, in 1891, Dr. Bhimrao Ambedkar, the architect of the Constitution of India, was born. Baba Saheb drafted the outlay of the Indian Constitution, and fought against social discrimination against untouchables and other castes, etc., till his dying breath. He was awarded the Bharat Ratna in April, 1990 for his great contributions to the Indian society. The Sun’s transit in their own sign’s first house will bring a change in the nature of the Aries natives, due to which, you may lose your temper quickly in this period. However, you need to calm yourself in such a situation in order to…Read more. This Sun transit can fulfil your wish of an overseas trip, as it transits in your twelfth house, the expenses house, which signifies expenditure, loss, salvation (moksh), foreign trip, and so on. Natives settled or working abroad may also see a rise in…Read more. Gemini natives will receive financial gains through means like hike in salary or increase in income sources as Sun transits to their eleventh house. According to astrology, this house, pertains to our earnings, achievements in life, friends, elder siblings, etc. During this transit, you’ll be…Read more. This transit will be favorable for the Cancer natives as the Sun moves to your tenth house, which signifies your career, father, status, standing, politics, and life’s goals. With your interest in your work developing, you will impress your seniors and receive…Read more. As the Sun transits in your ninth house, the respect of Leo natives will increase in the society and people will approach you for advice. Your ninth house is also called the destiny house, which represents your fate, teacher, religion, travel, pilgrimage site, and…Read more. Virgo natives can face some physical problems like fever, headache, and other afflictions with the Sun transiting in your eighth house. You need to look out for your health and consult a doctor as necessary. As per Vedic Astrology, the eighth house is called the life house, which…Read more. Married natives need to be careful as Sun will be transiting in your seventh house (marriage house), which represents your married life, spouse, and partners in other areas. You need to strike a perfect balance with your life partner while handling any situation as there are possibilities of…Read more. As Sun transits in their sixth house, Scorpio natives will become more courageous and won’t hesitate in accepting any challenges put forward. The sixth house or the enemy house signifies our opponents, disease, pain, job, competition, immunity system, detachment in married life, and legal disputes. You will…Read more. Sagittarius natives can look forward to economic gains as Sun transits to their fifth house. This house of progeny pertains to romance, children, creativity, intellectual abilities, higher education, and new opportunities. 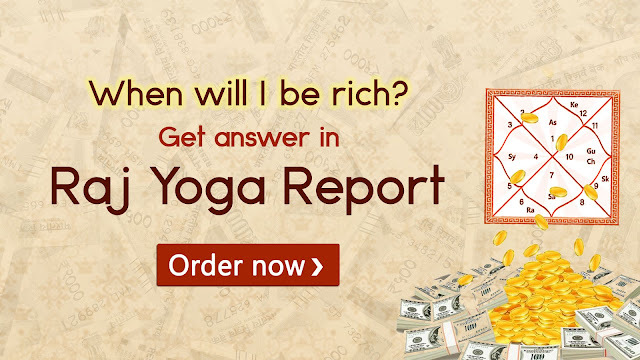 During this time, your income along with the modes of income will…Read more. Your mother’s health can decline as Sun transits in your fourth house, so take special care of her during this time and get a health check-up done if required. This house, also known as the comfort house, signifies our mother, all kinds of pleasures in life, movable and immovable…Read more. The Sun’s transit in your third house will directly affect your behaviour, and you will find yourself unafraid of everything and make decisions fearlessly. This house of valor represents our courage, will power, younger brother, curiosity, passion, energy, zeal, and enthusiasm. You will be…Read more. The Sun’s transit in your second house, will be bringing with it a change in your speech. Consequently, you can use bitter words against others during this time, which will anger or upset them and mainly affect your relationships. Therefore, converse less, but…Read more. Ashtami and Navami occurring on the same day! Learn how you can appease Goddess Durga through Kanya Pujan, and discover the religious rituals and worshipping methods for Ram Navami. This Chaitra Navratri, Ashtami and Navami are falling on 13 and 14 April 2019, which means that there will be some doubts over the puja to be done on both auspicious days. Since Saptami is confluencing with Ashtami this year, all religious rites for Ashtami and Navami are to be done on Saturday and Sunday. As per the Hindu Dharmashastra, on the eighth and ninth days of Navratri we worship Goddess Mahagauri and Maa Siddhidatri, respectively. Maa Mahagauri is very compassionate and fulfills all the wishes of any devotee who worships her with all the proper rituals. In addition to that, Goddess Siddhidatri blesses her true devotees with spiritual power and good virtues, and destroys all evil. The worship (pujan) on eighth and ninth days of Navratri have special significance because the 9-days Navratri festival concludes only after the main prayers are done on these days. The rituals performed on Ashtami and Navami should be as per our family traditions, which are usually different for every household. Therefore, we must worship Goddess Gauri, as per our ancestral traditions while taking these values forward. 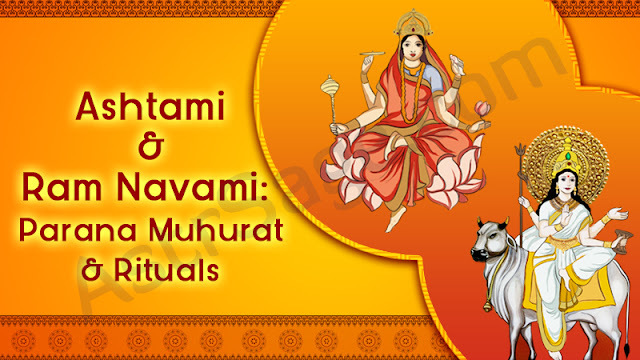 Time and again, people have been confused over the Ashtami and Navami dates during Navratri, due to which, they are often unable to complete their rituals during the auspicious muhurat. Therefore, to bring a stop to such confusions, we will be discussing these important details in this blog. There seems to be doubts over the occurrence of the eighth, ninth, and tenth days of Navratri according to the Hindu Panchang. But as per our astrologers, Saptami will begin on Thursday, 11 April from 14:42:58 minutes during the day, and conclude on Friday, 12 April at 13:24:50 minutes, after which Ashtami will commence from 13:24:51 minutes. It will end at 11:42:36 minutes in the morning of 13 April, Saturday and Navami will begin after that. Fasting for Maha Ashtami is suggested for Saturday, 13 April, this year, because as per Panchang, as the Sun rises on the 13th, the Hindu tithi (date) will be Ashtami. In the same vein, Navami will begin from 11:42:37 minutes on Saturday morning and conclude on Sunday, 14 April at 09:36:46 minutes. After that, the tenth day will begin, which will continue until the next day. Therefore, those who have fasted for all nine days of Navratri can perform Parana after 09:36:46 minutes on Sunday. The Navratri Parana is an important ritual that is performed after the completion of nine days of fasting. It is concluded on the ninth and tenth (Navami and Dashami) day. As per the Hindu scriptures, the person who has been fasting will only receive the result after the Navratri Parana is concluded. According to the Mimansas (those who explained the Shastras), the Parana should be performed on the Dashami. This is because many scriptures state that you are supposed to be fasting on the ninth, therefore, performing the Parana on that day is not considered appropriate. If, as per Panchang, Navami falls on two days, then one should fast on the first day and complete the Parana rituals on the second. One should feed little girls and do Kanya Pujan on this day. After the puja and visarjan (immersion), you should offer fruits, gifts, clothes, etc. to Brahmans as per your wish. After completing the Shodashopachara puja of Goddess Durga on this day, visarjan (immersing the idol) should be done on the tenth (Dashami). Kanya Pujan holds a special significance during Navratri, which is why little girls are worshipped on Ashtami and Navami. In Sanatan Dharma, on this special day, young girls, between the ages of 2 to 10 years, are invited to the homes, worshipped, fed, and given the gifts or dakshina. It is believed that the little girls are the incarnations of Goddess Durga, and by worshipping them on the eighth and ninth days of Navratri and getting their blessings, we appease the goddess and get auspicious results. How is Kanya Pujan Done? On the day of Kanya Pujan, wake up early in the morning, wear clean clothes after taking a bath, and worship Lord Ganesha and Goddess Gauri. Invite little girls of ages 2 to 10 years as the embodiment of Goddess Gauri and a little boy as Batuk Bhairav. It is said that Batuk Bhairav received the boon of serving Maa in Shakti Peetha. This is why, it is compulsory for the devotees to visit Bhairav after getting Maa’s darshan in Shakti Peetha. Cleanse and purify your house properly before kanya pujan and welcome the goddess in the form of little girls in a clean environment. Since these girls are embodiment of Mata Rani, hailing the Goddess when they enter your home is considered auspicious. Offer the girls a place to sit when they come home. Then, wash their feet one by one. Now do a tika of roli, kumkum, and akshat and tie a sacred thread (moli) on their hands. Now do the aarti of the girls and the little boy. After the aarti, feed the children as per your ability. It should be noted that Poori, chana (gram), and halwa is cooked for prasad on the day of Kanya Pujan. Offer gifts and presents to the kids after they are done eating. Then, touch their feet to gain their blessings and send them off happily. The festival of Ram Navami will be celebrated throughout India on 13th April, Saturday to commemorate the birthday of Lord Ram. This occasion falls on the ninth day of Chaitra month every year as per the Hindu calendar. According to the Hindu religion, Maryada Purushottam Shri Ram is worshipped as the 7th incarnation of Lord Vishnu, which is why devotees read the Ramayana to celebrate this auspicious day. AstroSage Wishes All Its Readers A Happy And Successful Life! Read how Mercury transit will affect your life and also find remedies to strengthen Mercury’s position in your Kundali. The solar system provides residency to nine planets, out of which the planet Mercury is nearest to the Sun. Despite being small in shape, it is considered an influential planet in the field of Vedic astrology. It is also believed to be the determiner of aspects like reasoning abilities, dialogue delivery, travel, writing and many more. In the Kaal Purush Kundali, Mercury is the ruling lord of Gemini and Virgo natives. In the zodiac sign of Virgo, Mercury remains in an exalted position whereas it remains debilitated in Pisces. When the other planets remains strong either in the day or night, Mercury remains strong throughout the whole time. Readers should be aware of a special fact about this planet which is that Mercury’s results are dependent on the other planets it gets posited with. If it is placed along with an auspicious planet in the Kundli, it will bear good results. On the contrary, it will produce malefic results if it has the company of a nasty planet. The positive influence of Mercury provides enhancement to one’s reasoning abilities. Also, natives who have Mercury in an exalted position in their Kundalis have a commendable grip on subjects like Mathematics. However, natives witness difficulties while indulging in debates and suffer from skin issues if Mercury is in a debilitated position in their respective Kundalis. In order to curb the malefic effects of Mercury, wear Emerald Stone and Four Faced Rudraksha. Mercury made its transit from Aquarius to Pisces on Monday, 25th February 2019 at 8:43 AM in the morning. It started to move in a retrograde motion on 5th March 2019 and made a comeback to Aquarius on 15th March 2019 at 9 AM in the morning. On Thursday, 28th March 2019, Mercury started to move in a direct motion and now is making its transit in the zodiac sign Pisces on 12th April, 2019. Let us have a look at the effect of this transit in the lives of natives. The month of April will host the Lok Sabha Elections. Prior to this, every political party has searched high heaven in the process of proving themselves better than their rivals. However, some political leaders will witness difficulties in putting forward their perspectives in front of the masses during this transit. This will happen because Mercury is making its transit in its debilitated zodiac sign. This lack of communication may create internal cracks in some political parties. When Mercury will transit from Pisces to Aries, certain political leaders will reach out to the public with the help of their excellent rhetorical skills. The repercussions of this transit will also be visible in the industry of glamour, Bollywood. This explains the unwelcoming reception of certain small budget and cult films by the viewers. Audience will fail to understand the motive and idea behind such movies. However, after a point of time, the public will shift its attention towards these movies and appreciate them eventually. Elections 2019: Who Will Wear The Crown Of Victory? 2019 Lok Sabha Elections Biggest Coverage is Here! Know which party will gain the support of stars and planets? The entire nation is currently witnessing the rage of upcoming Lok Sabha elections. Unending discussions have taken over political circles as well as small lanes of the country. Some are rooting for Narendra Modi to come back into power and others are stating that Rahul Gandhi has better prospects to become the next Prime Minister. However, the political leaders are pushing their edges to win the support of the folks. The opinions of the general and significant public are difficult to acknowledge but we are going to reveal what do the planets and stars state about the impending elections. The forthcoming elections will be held in seven different phases during the months of April and May 2019. Four sessions will take place in the month of April and three in the month of May respectively. The month of May will be quite crucial as the results will be announced during this month only. Not only the political parties, but the general public will also monitor the election results. Let us have a look at the respective Kundlis of the two primary parties competing against each other in the upcoming elections. On 24th April 2019, retrograde Mercury will move in the zodiac sign Scorpio. On 15th May 2019, Sun will reside in Scorpio and provide results accordingly. On 7th May 2019, Mars will be in the zodiac sign Gemini and on 10th May 2019, Venus will be posited in Aries. Meanwhile, on 18th May 2019, Mercury will be placed in the zodiac sign Taurus. Let us read about Congress and BJP and their important results with the aid of their respective kundlis. The ascendent sign of BJP is Gemini and it’s Moon sign is Scorpio. Mars, Jupiter and Saturn, the main planets, are in retrograde motion. Saturn, Jupiter, Rahu and Mars are residing in the third house of the Kundali, where Leo is posited. Saturn is in the last phase of its Sade Sati motion. Ascendent lord Mercury and ketu are posited in the ninth house. The dasha of Moon-Mars-Rahu will remain effective from 22-03-2019 till 24-04-2019. After which, the dasha of Moon-Mars-Jupiter will begin on 24-04-2019 and last till 22-05-2019. And, the dasha of Moon-Mars-Saturn will begin from 22-05-2019 and remain effective till 25-06-2019. In Bharatiya Janata Party’s Kundli, Mars’ sub period (antar dasha) is currently undergoing during Moon’s major period (mahadasha), which will last till the month of October, 2019. Moon, the ruling lord of the second house, is residing in a debilitated state in the sixth house. The last phase of Saturn’s Sade Sati is effective for this party also. Mars, who is the ruling lord of the sixth and eleventh house, has posited in the third house along with Rahu, Saturn and Jupiter. Moon who is currently undergoing a major period, is posited in the tenth house and making BJP a strong contender in this political race. Since Mars, Saturn and Jupiter are in retrograde motion, some party members may disturb the balance of the party. However, BJP may remain successful in forming a government but compared to the previous tenures, the party may receive less number of seats. After deploying numerous schemes and strategies, BJP may remain successful in coming back to power in 2019. The ascendent and Moon sign of Narendra Modi is Scorpio. Mercury and Jupiter are in retrograde motion. Mercury and Saturn are in combust state. Chandra Mangal Yoga is being formed in the first house of kundali. The combination of Saturn and Venus is in the tenth house, where zodiac sign Leo is placed. In the eleventh house, where Virgo is placed, Sun, Mercury and Ketu is in conjunction. Saturn is in its last phase of its Sade Sati. Ascendent lord Mars and ninth house’s ruling lord Moon is form an excellent Raj Yoga in his Kundli. During the elections of 2019, Narendra Modi will undergo a period (dasha) of Moon-Ketu-Venus from 11-03-2019 to 17-04-2019. Moon-Ketu-Sun’s period (dasha) will remain effective from 17-04-2019 till 27-04-2019. Moon-Ketu-Moon period will be effective from 27-04-2019 and it will last until 14-05-2019. Moon-Ketu-Mars’ period (dasha) will begin from 14-05-2019 and it will end on 27-05-2019. Will Narendra Modi Come Back To Power in 2019 Elections? Read Now! Will The Position Of Stars Favour Narendra Modi? The current Prime Minister and BJP PM candidate for the upcoming session, Narendra Modi’s kundali suggests that Moon is undergoing a major period during the sub period of Ketu, which will last till the month of September 2019. Moon is the ruling lord of Luck house in Narendra Modi’s Kundali, and placed in the first house along with its ruling lord, Mars. This position is forming an excellent Chandra-Mangal Yoga and Raj Yoga. Ketu is placed in the eleventh house of Virgo along with Sun and Mercury in the nakshatra of Uttara-Phalguni. Because of the combined effect of Sun and Mercury, Ketu posited in the eleventh house of Virgo may bring forward fruitful results. Meanwhile, the ruling lord of Uttara Phalguni Nakshatra is Sun, who is also the ruling lord of tenth house in Narendra Modi’s Kundali. These placements are indicating that Narendra Modi may regain his current position in the upcoming session. However, Saturn in its last phase of its Sade Sati, which is why PM Modi’s ride will not be smooth. It is quite a possibility that his party members may gang up against him and try to block his path of success. Despite everything, ruling lord of the eighth house, Moon will take him closer to power and authority. Venus, ruling lord of the seventh house, is residing in the tenth house, which is why he will gain public support and his work will be appreciated by them. His adversaries will be seen praising his work. However, compared to the previous times, situations will be topsy turvy and he will have to take many complex decisions. The ascendent and Moon signs of Congress are Pisces and Virgo respectively. Saturn, Jupiter and Mars are the primary planets moving in a retrograde motion. Venus is in a combusted state and placed along with Sun in the tenth house of Sagittarius. Mars is in a debilitated position in the fifth house of Cancer. The combination of Rahu and Moon is also posited in the seventh house. An observation of Congress’ kundali suggests that it is undergoing a major period of Jupiter, Venus and Mercury from 05-03-2019 and it will remain static until 22-07-2019. If we observe the kundali of Congress party, it is apparent that Jupiter’s major period is undergoing a Venus’ sub period which will remain effective till September 2019. Jupiter is the ruling lord of the kundali’s first and tenth house and residing in the fourth house in the zodiac sign Gemini in a retrograde state. It is also aspecting the tenth house, and Sun and Venus (in a combusted state). Currently, Saturn is making its transit over Sun, Venus as well as in the fourth house from Moon. Considering all the planetary positions, it can be said that there may be internal conflicts in the party and controversial incidents can take place, which can spoil the name of the party. The confiding members of the party may question against its leader. The mighty Gandhi family may also face certain challenges during this time. However, auspicious Jupiter will bring forward favourable results and the ruling lord of third house, Venus’ position in the tenth house is indicating that party will increase its hard work and efforts. It is important to note that Venus is the ruling lord of the eighth house in the Kundli and placed along with Sun, who is the ruling lord of sixth house. In such a situation, Congress will probably perform better than the last time in 2014 but the performance will not be good enough to form a government in the centre. Even if it obtains desired results, the party cannot form a government without adhering to a coalition. The ascendent sign of Rahul Gandhi is Libra and his Moon sign is Sagittarius. Retrograde Mercury is present in the first house. Mercury, the ruling lord of luck, is posited in the eighth house in a combusted state. Debilitated Saturn is residing in the seventh house. The combination of Sun and Mars is present in the ninth house, where Gemini is placed. Saturn is at the peak of its Sade Sati. Mars-Moon-Venus will undergo a period from 01-03-2019 and it will last till 05-04-2019. After which, Mars-Moon-Sun’s period will start from 05-04-2019 and end on 16-04-2019. Meanwhile, the major period of Rahu-Rahu-Rahu will begin on 16-04-2019 and last till 11-09-2019. In the recent years, Rahul Gandhi has managed to change his personality to a great extent. He has managed to refine his position as a political leader. If we analyse the kundali of Congress leader Rahul Gandhi, it is undergoing a major period of Mars and Rahu in ‘chidra’. Along with this, his kundli will undergo a major period of Rahu from 16th April 2019, which is situated in the fifth house Aquarius in Shatabhisha Nakshatra. The ruling Lord of Rahu’s zodiac sign is Saturn which is placed in a debilitated manner in the seventh house. Considering all these circumstances, it is difficult to say that he will be able to put his best foot forward in the upcoming elections. However, Rahu’s presence in its own Nakshatra will bring forward favourable results in the fields associated with the fifth house. Rahul Gandhi will be able to plan certain strategies which will provide some amount of help to the party. In the assembly elections organized recently, Congress had managed to hit the jackpot in states like Gujarat and Madhya Pradesh, which is why some people are expecting his victory in the upcoming elections. In the current time, Saturn’s Sade Sati is at its peak, which will escalate his mental tensions and he will be under pressure to take care of the party’s success in the political race. However, his chances of becoming the PM are quite less. But, he will paint a new picture of himself with his multiple efforts and true colours will shine in front of the general public. 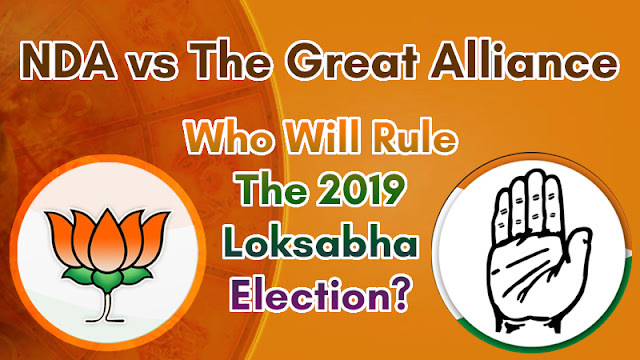 It becomes clear after analyzing the Kundalis of the country’s major parties and their PM candidates that BJP will not only benefit from Narendra Modi but the party will also change its existing image with his help in the Lok Sabha Elections 2019. However, compared to the last session in 2014, the party’s performance may be a bit disappointing. Despite this, it will manage to rise and not face a political setback. On the contrary, if we take into account Congress and Rahul Gandhi’s Kundli, it can be stated that he will remain dissatisfied with the election results. It is quite interesting to note that Rahul Gandhi’s image has changed in a positive manner which will impact the performance of Congress directly. But, with regards to victory, the party will have to push their edges a little more to reach the top. We really hope that you have liked this article. We wish all the best for you.